Auburn provides residents with the charm and tranquility of a small town and all the conveniences of a larger city. Auburn boasts exceptional schools, state of the art medical facilities, and plenty of job opportunities, making this a popular place for families, seniors, and young professionals. Whether you want to live in the heart of downtown Auburn or if you prefer to be in a more secluded area, Auburn provides a great quality of life. You’ll discover a variety of housing options, including single family homes, senior housing, and planned developments. With several parks, trails, ponds, rivers, and athletic fields, Auburn offers an abundance of outdoor recreational opportunities for every season. 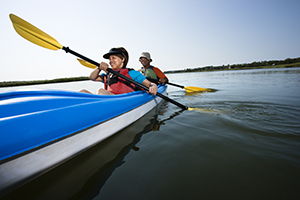 Residents enjoy golfing, hiking, bird watching, hunting, boating, paddling, kayaking, fishing, snowshoeing, and skiing. Auburn is home to Taylor Pond, Lake Auburn, Gulf Island Pond, and the Androscoggin River. Auburn hosts festivals and events all year long, including the popular movies in the park, Balloon Festival, Summer Festival, and Winter Festival. You’ll discover a vibrant arts and culture scene in Auburn. Downtown Auburn features a wonderful variety of shops, entertainment, and dining options to explore.